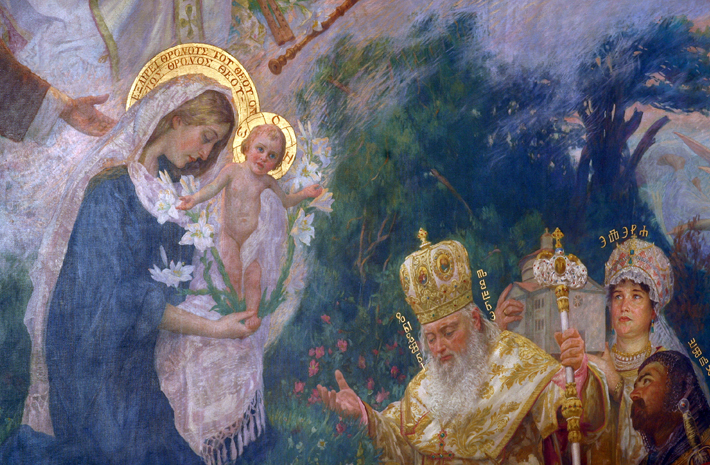 On the feast of the epiphany we remember the three wise who followed the star and went to visit the baby Jesus. (Gospel Reading Matthew 2:1-12) In the midst of this quest we come across King Herod who had very different intentions to the wise men. Although Herod was as an extreme character, with a thirst for power not familiar to most of us, we can relate to his brokenness when at certain times our pride just gets the better of us! King Herod like most of us in times of insecurity, fear and self preservation choose to take hold of power rather than submit to the revelation of God's power. We already begin to see remnants of King Herod's self-importance in his assumption that it was appropriate for the three wise men who were probably King's in their own locality to make the journey to see Jesus without him. The three wise men referred to Jesus as the infant King of the Jews while the King Herod knowing he was the Christ simply referred to him as 'child'. Like King Herod who refused to let go of his title of King we are unwilling to let go of something that makes us feel safe and run the risk of missing out on the promise of God. We lose sight of our proper place in God's divine plan and miss out on our ability to fully glorify God in the sacred place he left for us. The three wise men were open and humble enough to follow where divine revelations led them with no other ambition but to pay homage to someone greater than themselves. They were not threatened because they knew that this divine King revealed in a precious baby, could not take from them but only give. The three wise men were seeking truth and wisdom while King Herod thought he already had it. The star that the three wise men followed might have seemed like an anomaly, a star which astrologers or scientists had never seen before. They probably asked questions and made many enquiries and then drawn by their curiosity followed it. They may not all have been familiar with Jewish tradition but followed the light were it led. In this new year of 2018 let us resolve to trust in the goodness of the promises of God and his plan for us. It may mean letting go of a few things and that's not always easy but with God there is always more to gain than loose. The three wise men where ready to submit their royalty and presented Jesus with gifts and received more than any of us could ever hope for. They saw God in human flesh, the love of God that he in his divinity and splendour would come down to dwell among us. Let us be truth seekers like the three wise men who came from different corners of the world and set out to look for truth itself. RISK SEEKING TRUTH! Out of all those in Jerusalem, the Jewish people who knew the prophecy of the Messiah best, only three people from far away, strangers to this Jewish religion ventured out to find out what this strange star could mean. Don't wait, set out alone if need be! It may only be you looking for how God will reveal himself in your life. For you that might mean asking the Lord more questions about your life and his divine plan for it, taking the risk of doing something new and scary or making a journey to somewhere you've never been. As Pope Francis reminds us in his homily let us keep dreaming and gazing at the stars. As the Christmas season draws to a close let us never forget the sudden and great revelation of God in baby Jesus. Lord Jesus we ask you to remove any fear of truth like King Herod, to take away any complacency seen in the scribes and like the three wise men look up with the curiosity of a child and be courageous in seeking truth always.